Many years ago I would go hunting with Lorne in Arthur, Ontario. After one particularly dreary day I decided that it was time that Lorne should have a new hunting buddy. 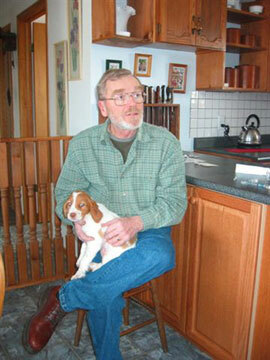 A Brittany with their great hunting instinct & wonderful personality was the obvious choice. In 1980, we got our first Britt, "Freckles". Since then we have dedicated ourselves to breeding Brittanys. We hope our site helps you on your search for a pet. We understand how finding a breeder that you are comfortable with can prove to be a challenge. All questions are welcome. We are a registered Canadian kennel east of London, Ontario. Our dogs are CKC registered & are eligible for AKC registration. 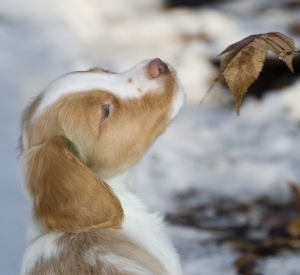 Brittany Spaniels are excellent bird dogs & family companions. 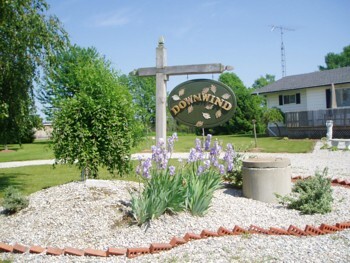 Come join us at Downwind Kennels. Puppies & Adults are available!